GTA 5, which is the abbreviation that’s generally used for the name of Grand Theft Auto V, is an action-packed adventure game that takes place in an open world that was created by the British development studio Rockstar North and that’s distributed by the North American company Rockstar Games. It was released for PC and also for PlayStation 3, PlayStation 4, Xbox 360, and Xbox One. It’s the fifteenth game to appear in the Grand Theft Auto saga which has been released for all sorts of platforms apart from Windows and the above-mentioned video consoles. These games have been published for Game Boy, Android, iPhone, and Mac. 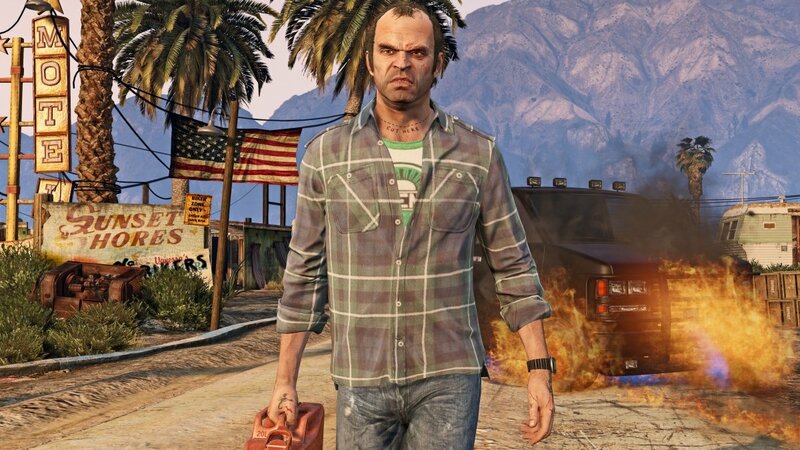 Furthermore, GTA V belongs to the game’s fifth generation and the series’ HD universe, succeeding the 2D and 3D environments of previous versions. The plot on which the storyline is based has common aspects with previous installments, as is the case of GTA San Andreas, as we’ll explore scenarios that appear in both games. The story is starred by Michael, Trevor, and Franklin, being the first of the saga’s game with three main characters the actions of whom have an impact on the game’s output, unlike other titles in which we can only play with one character. This video game came along with a series of changes at a technical level that improved GTA IV such as greater smoothness of the characters. It also introduced bullet time effects previously seen in Max Payne 3 and the driving experience was improved to make it easier and more fluid. This game was published in two editions with different extra contents in each case: a Special Edition and a Collector’s Edition.